On Monday, Derek Fisher officially signed with the Oklahoma City Thunder, a team in need of point guard depth after dealing the struggling Eric Maynor to the Portland Trail Blazers. The reaction was typical, most cannot understand what the Thunder saw in the 38-year old guard that couldn’t have found in greater and more efficient portions with a younger player. Still, Fisher’s minutes will be limited behind Russell Westbrook and (hopefully) Reggie Jackson, and it makes sense that the Thunder wants another assistant coach in warmup clothes on the bench and in the locker room. The Dallas Mavericks, fighting to strain its way into the playoffs, apparently wanted the same thing. They had signed the same thing, in Fisher, earlier this season before letting Derek go after a knee strain and Fisher’s insistence on rehabbing the injury closer to his family out west. 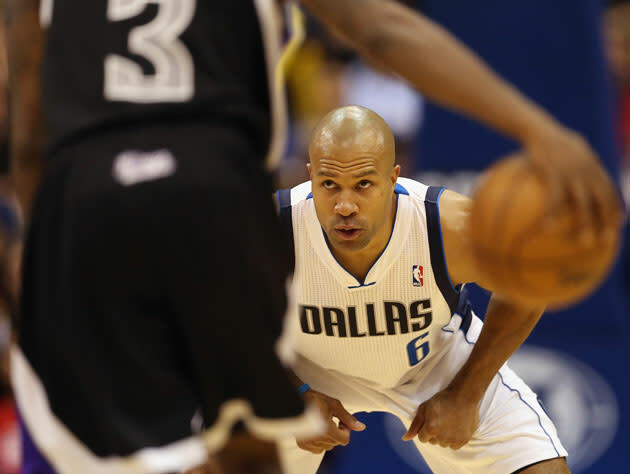 A few months and a Players Association promotion later, Fisher is back as a player, and the Mavs were just as surprised as the rest of us. Caplan went on to draw uneasy parallels between this switch and one Fisher made in 2007, when he requested waivers from the Utah Jazz in order to find a team on the coasts to play with in order to find suitable medical attention for his daughter, who was suffering from a rare form of eye cancer. I don’t want to go that far, mainly because Fisher gave back more money to make the switch. He also allowed the Jazz significant payroll flexibility by taking the bloated contract Chris Mullin had signed him to three years before off of their books, and he was already in decline. Fisher made the Finals in 2007-08 and won championships the next two years in Los Angeles, and Jazz fans never got over what they took as a slight. Even if Fisher did them a favor by handing all that money back, while taking less money to be a Laker. As I noted yesterday, in the near-year since he was dealt from the Los Angeles Lakers, Derek Fisher has shot 34 percent. He is not a threat to penetrate, he is not much of a passer at this point, and for someone exuding that venerated veteran know-how, his turnover percentages of over 18 and 19 in his time last year with Los Angeles and this year with Dallas rank him amongst the worst point guards in the NBA. His defense would do the same. Since 2009, he has averaged a single-digit PER, the mark of someone whose play suggests he should not be in the NBA. Why Dallas (who replaced Fisher with another struggling veteran in Mike James) and OKC want Fisher to play significant minutes on their basketball teams is beyond me. Because as much as a younger player might struggle, he’s still not going to miss 65 percent of his shots or turn the ball over in nearly one in five possessions he uses up. And that’s not even looking into veteran D-League types like Andre Barrett or even the improving Shelvin Mack. Perhaps, though, the Thunder will be happy if Fisher barely makes it on the court this year, relegating his leadership to behind the scenes affairs. If that’s the case for the team’s front office, then I can understand the move. If it’s for the spottiest of spot duties, then Fisher is always a fine pickup. And perhaps Dallas didn’t want Fisher, the player, back. They just wanted a call, after doing the guy a favor by sustaining his NBPA status and releasing him last December. I can understand the personal aspect of it. Fisher was under no obligation to let the Mavericks know he was in talks with the Oklahoma City Thunder, and it’s not typical for ex-players to give ex-teams the ol’ ex-heads up before they put pen to paper with a new team. Fisher was waived under unorthodox circumstances, though. He asked to rehab his knee injury with his family before diving fully into the work of (rightfully) usurping Billy Hunter in the Players Association front office. Days after that work was done, he signed with the Thunder – a much, much better team that didn’t have use for Fisher earlier in the season (with Maynor’s potential still in place) when he signed with Dallas. To read his statements, Fisher wants his tenure as Players Association leader to be a transparent, open affair with direct lines of communication and little backroom haggling away from his constituency. If this is his impetus as an executive, then the Fisher the player should have had no issue with giving Mark Cuban and the Mavericks the same cursory “heads up,” something in line with the favor that the Mavs granted Fisher earlier this season. Two favors, if you count their signing of the guard in the first place. Especially when you consider the knowledge that, should Fisher hang on as the union’s top guy, he and Mark Cuban are going to be going at it across the negotiating table for years to come. 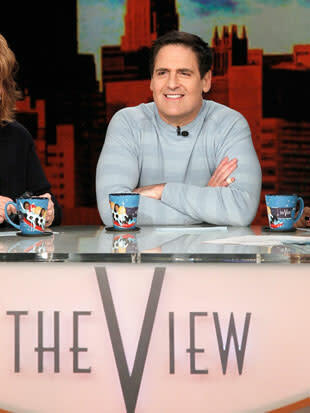 Mark Cuban is made of 60 percent water and 40 percent perceived slights, so why negatively alter that relationship now? And why oh why are these teams still after Derek Fisher, the player? And so ticked when he spurns them?